THIS WAS GIVEN OUT AS A GIFT TO THE HOLLYWOOD FOREIGN PRESS FOR THE CONSIDERATION AT GOLDEN GLOBES 2018. THIS IS A LIMITED EDITION. 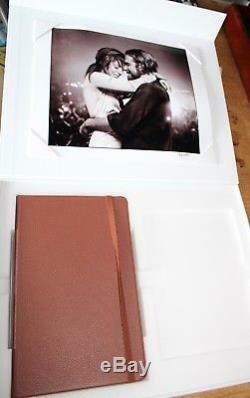 YOU GET THE BROWN JOURNAL, LIMITED EDTION NUMBER PHOTOGRAPH 93/100. 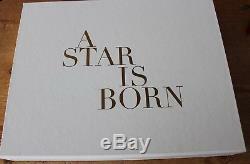 THE DVD WAS TAKEN OUT BY THE HFPA MEMBER AS IT WAS WATERMARKED. 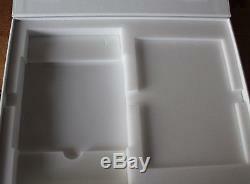 THE BOX MEASURES 12.75 X 10 X 2 INCHES CLOSED. 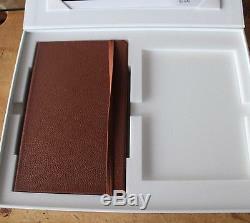 THE BOX SET COMES WITH A BROWN JOURNAL WITH A NICE NOTE FROM JACK. The item "A STAR IS BORN MOVIE DELUXE BOX FYC PRESS KIT LIMITED EDITION PROMO" is in sale since Saturday, November 17, 2018. 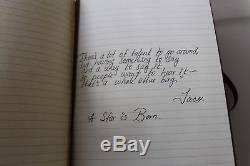 This item is in the category "Entertainment Memorabilia\Movie Memorabilia\Scripts\Originals\Signed". The seller is "movieheaven1968" and is located in Canoga Park, California.